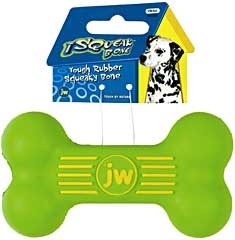 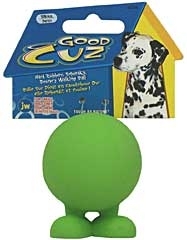 Hard rubber, squeaky, bouncy ball with feet to give your dog an extra dose of fun during playtime. 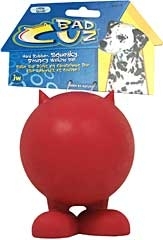 Designed to unleash the mischievous spirit within your dog, these durable rubber friends hold up to the tough love your puppy shows to his favorite toys! 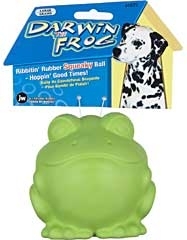 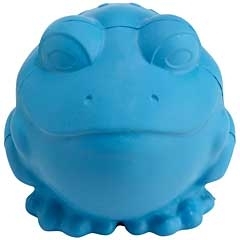 The Tough By Nature Darwin the Frog toys are a natural squeaky ball of amphibian fun. 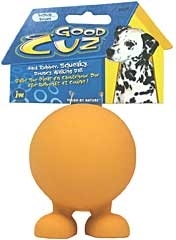 Infused with vanilla for fantastic flavor, this toy will bounce erratically when thrown --- dogs will have a hopping good time chasing and chewing. 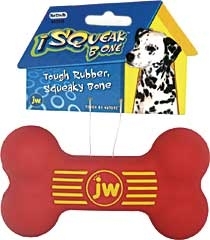 Dogs and owners alike. 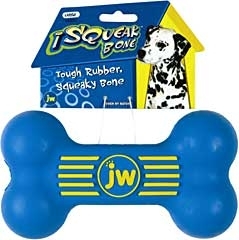 Designed for the bowling dog.&nbsp; High pitch squeaker inside. 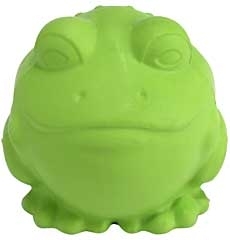 Tough rubber material. 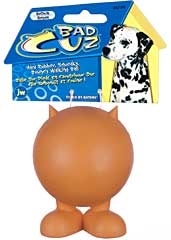 Purchase several pins and watch your pet bowl them over.